OHSOGRAY was on the red carpet for the series premiere of EPIX’s first original program, Berlin Station, which is described as a contemporary spy series following CIA Officer Daniel Miller’s (Richard Armitage) arrival in Berlin on a clandestine mission to unearth an anonymous whistleblower, alias Thomas Shaw. 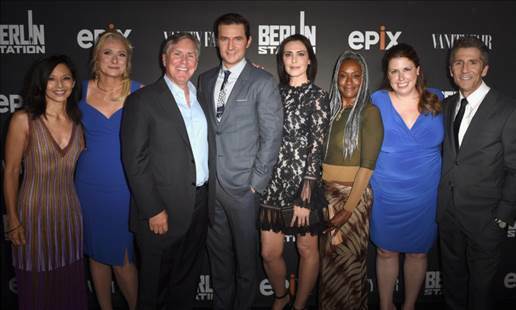 EPIX President and CEO Mark S. Greenberg talked about EPIX’s leap into television programming, while the cast, including Richard Armitage, Michelle Forbes, Leland Orser, and Tamlyn Tomita, gave some insight into their characters and what to expect. Berlin Station premieres on EPIX on Sunday, October 16 at 9pm ET/PT, 8C. The first two episodes are available now for online streaming for free.